From the T45 collection this 4 hole mixer operates hot and cold water independently. A traditional concept updated with a ceramic disk cartridge and an outstanding minimal design. Outstanding contemporary design that fits any kitchen style. 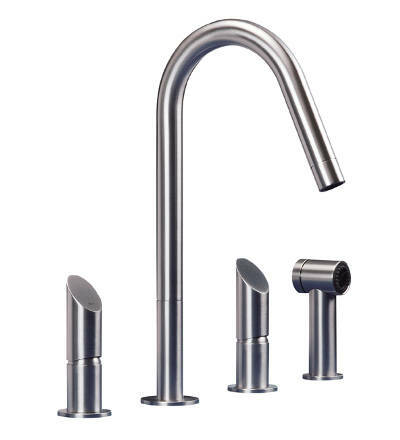 The spout freely rotates 360°. The side spray is activated by pushing the button on it. When released the water stream goes back to the spout. Solid AISI316 marine grade stainless steel – ideal both for indoor and outdoor installation. Hand polished to matte or polished finish. No chroming or plating. Eco-friendly manufacturing and polishing process: no polluting wastes are produced. The handles can be freely positioned. High precision machining with very low tolerances ensures that all parts fit together perfectly. 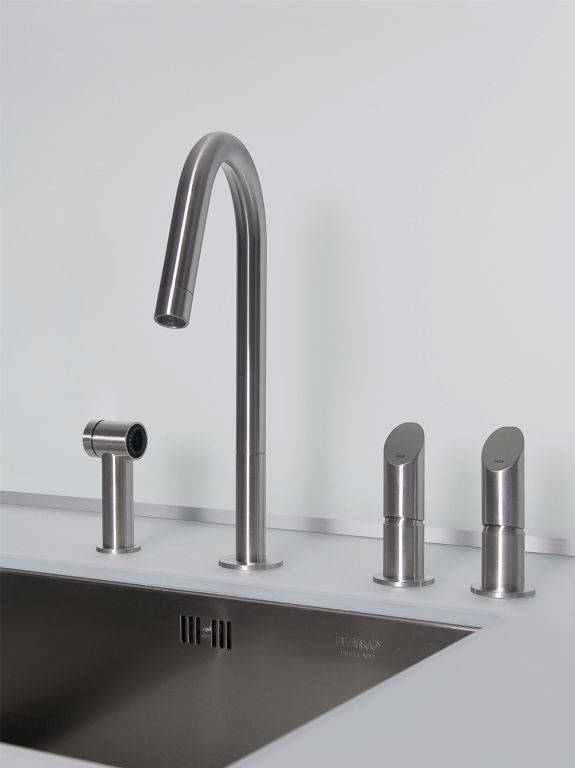 The tap will function smoothly for many years to come. Handles tilt forward to operate. A must for the most refined. US version flow rate restricted to 1.8 GPM as per CalGreen requirements.